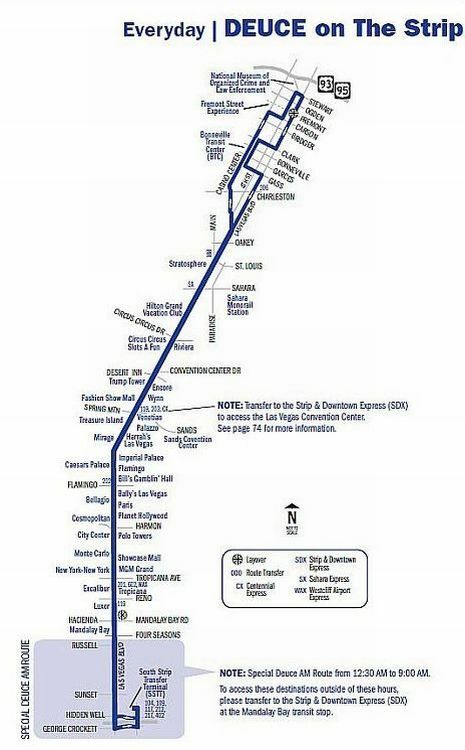 Regional Transportation Commission of Southern Nevada (RTC) operates scheduled routes throughout the Las Vegas Valley. Most buses operate between 5:00am and 1:30am, seven days a week. Strip buses run 24 hours. 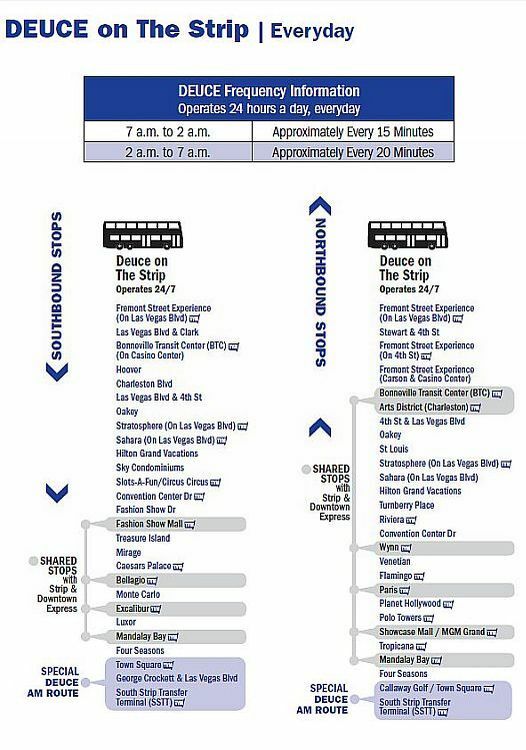 The Deuce now runs between Mandalay Bay on the south and Palace Station on Sahara on the north. 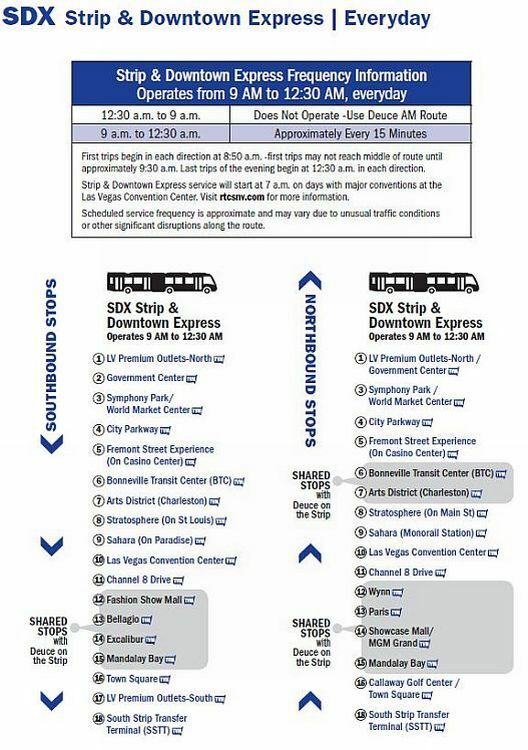 It no longer goes downtown, Use the SDX Express to get downtown. 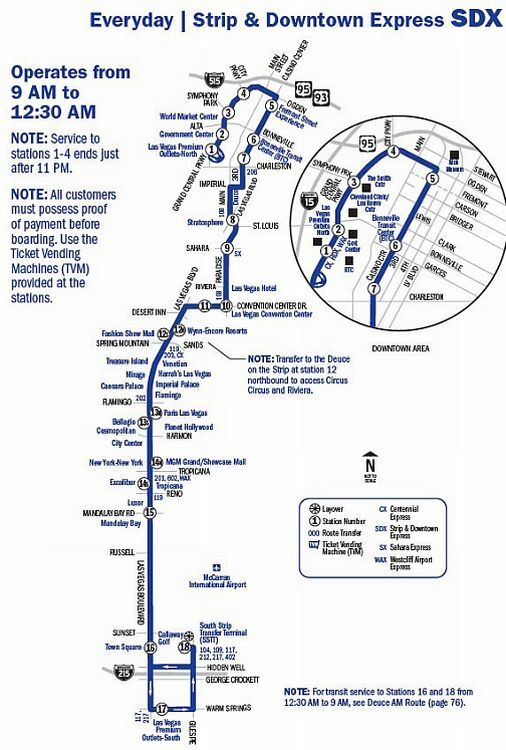 Ticket Now speeds up the boarding process by allowing passengers to purchase fares at Ticket Vending Machines (TVMs) located at transit stops serviced by the SDX Express, Deuce on the Strip, and MAX. Passengers pay their fare at the Ticket Vending Machine and board the vehicles at any open door upon the arrival of the transit vehicle. All fares must be purchased prior to boarding premium service routes and MAX. While passengers are encouraged to pay before boarding when using Deuce on the Strip, fareboxes are still available onboard the Deuce on the Strip vehicles. Passengers must maintain possession of proof of payment received upon purchase.